Fabric operable partitions place all options at your fingertips, no matter it’s for room to work or room to play, public meetings or private functions, assembly or seminars, etc. 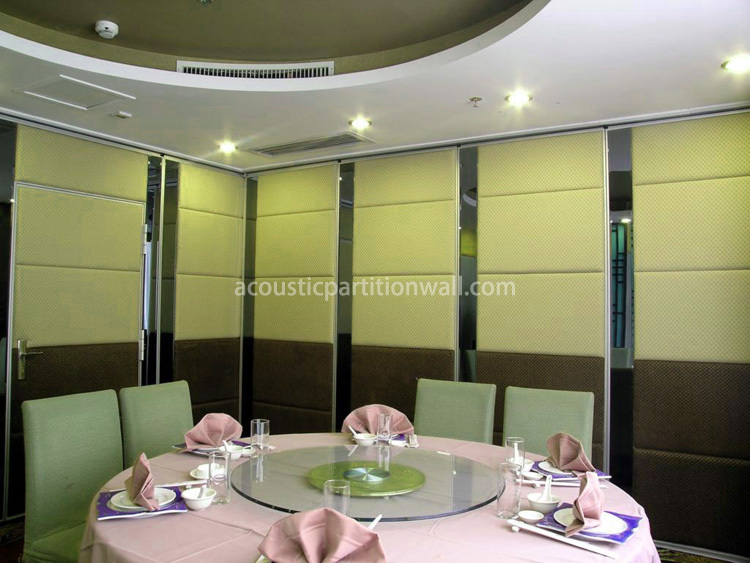 Our fabric finish operable partition walls can easily slid along a hidden track above the ceiling, providing all the acoustics and aesthetic features of the fixed wall with an immeasurable advantage of maximum flexibility. You can easily and quickly achieve a variety of configurations and divisions. Once in place, the spring-loaded seal locks like it’s fixed. The fully modular system allows operable partitions to be designed by project, taking into account all individual needs. The installation can be carried out local installers with our instruction. In essence, our operable panel partitions can eliminate barriers of your architectural design and take full advantage of your available space. 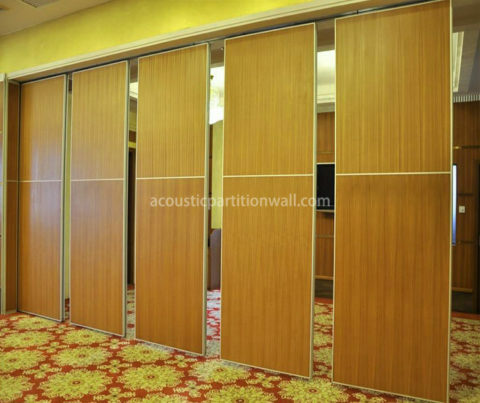 Our single-panel operable partitions are designed to accommodate most specifications. Each panel is interlocking with the next. They are available in three different thicknesses: 65, 80, 100mm. 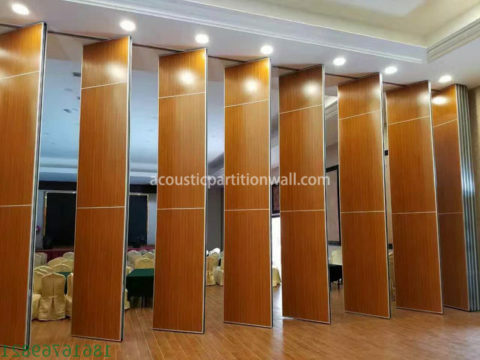 Operable partition cost of each thickness is different. The acoustic partition wall system is available for the highest specification of operable partition, designed to cover all possible applications where sound reduction is necessary. Exposed protective edge or concealed profiles. Individual plate is suspended from the top track. A telescopic seal locked between the track and the floor. Access door is available for operable partitions. 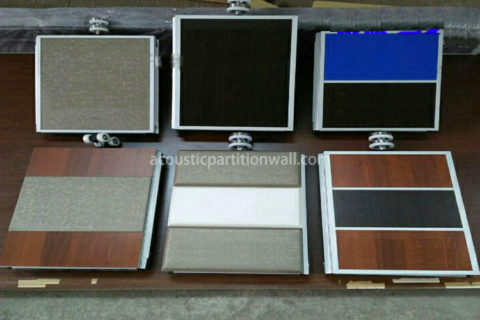 The surface treatment may be used in hardwood veneer, vinyl, melamine, laminate or spray.